Great cut, excellent value. Powered by a 6.75 ft.-lb. Gross Torque Briggs & Stratton® 163 cc w/Just Check & Add engine. 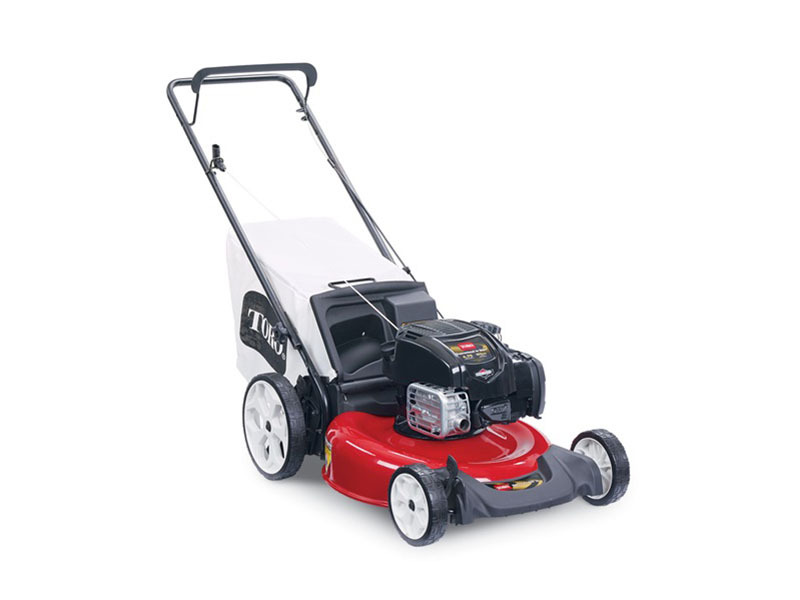 Enjoy the superior cutting and mulching capabilities of our 4 in. deep steel deck in a lightweight, compact size. This easy-to-use model gives you essential features at an outstanding value and is ideal for smaller, flatter yards. 21 IN. (53 CM) RECYCLER® CUTTING DECK: The 21" (53 cm) cutting deck is lightweight and maneuverable. The smaller width allows for mowing in tight areas. 11 IN. (28 CM) HIGH WHEEL: The 11" high back wheels are great for tackle uneven terrain. Gross - 6.75 ft. / lb. The gross torque of this engine was laboratory rated at 2800 rpm per SAE J1940 by the engine manufacturer. As configured to meet safety, emission and operating requirements, the actual engine torque on this class of mower will be significantly lower.